Insurance has become a way of life for Sharon after 40 years. 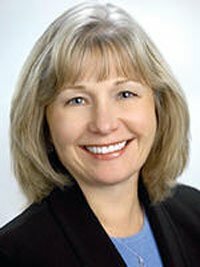 She came to Burleson in 1999 to become a State Farm agent via claims handling experience and a stint at State Farm’s Corporate Headquarters in Bloomington, Illinois. Her varied experiences within State Farm allow her to appreciate her work and value, more than ever, the company she represents. agents in the nation. She has earned three designations during her tenure with State Farm – CPCU, CLU and CASL. Sharon is the proud mom of two beautiful daughters, Brandi and Suzanne. She is also the proud “GiGi” of four absolutely gorgeous grandchildren. The Athena Award was given to Sharon in 2007 for mentoring women in the work place and her involvement with and support of Johnson County Community Partners, Burleson Pregnancy Aid Center and Relay for Life.